We are a firm of Accountants and Business advisers based in Sileby, just outside Loughborough, Leicestershire. Our friendly team are committed to helping local businesses grow, develop and run as efficiently as possible. For sole traders, partnerships and limited companies in a timely and cost efficient manner. Leaving you time to get on with running your business. The basis of all accounting is the basic bookkeeping. Many of our clients are happy and confident about keeping their own records and carrying out their own bookkeeping, either using a paper system or with a computerised accounting system. We can help choose a cloud based bookkeeping system for you. 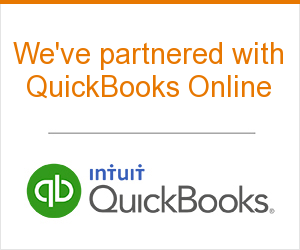 We are Quickbooks® Online Platinum Advisors and are also advisors for Sage Business Cloud, Xero, KashFlow – and quite a few others. Let us help you choose the right online software for you. Others want us to carry out the bookkeeping for them and give us their invoices and receipts to enter for them. We are happy to work with either method. If you prefer us to do your bookkeeping for you, we will be pleased to do so – and you will find that this service is not expensive – PLUS it frees up your time to concentrate on your own work, so you make more profit. I'd like to talk more about how Cloud accounting software can help me..